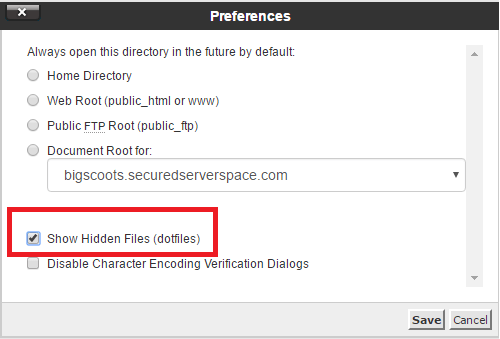 Redirecting your domain from https to HTTP using .htaccess in cPanel. This article will show you how to use cPanel's file manager to force redirect all traffic coming over HTTPS:// to HTTP:// via your .htaccess. At the top right, click the Settings button. 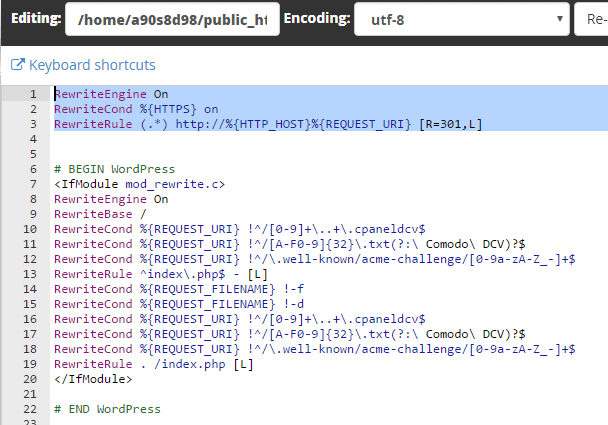 Now, you have to locate the .htaccess file for the site you want to apply the redirect too. In most cases, it will be located in the public_html folder so we will double click that. From here, find your .htaccess file, right click it and click Edit. Lastly, click Save Changes at the top right. Going forward anytime someone visits your site using https:// they will be redirected to https://.